Niles will be the place to be tonight as Johnny K's Powersports in conjunction with Lights Out Managment will bring amateur boxing to the great outdoors at Johnny K's Powersports located at 430 Youngstown Warren Rd. 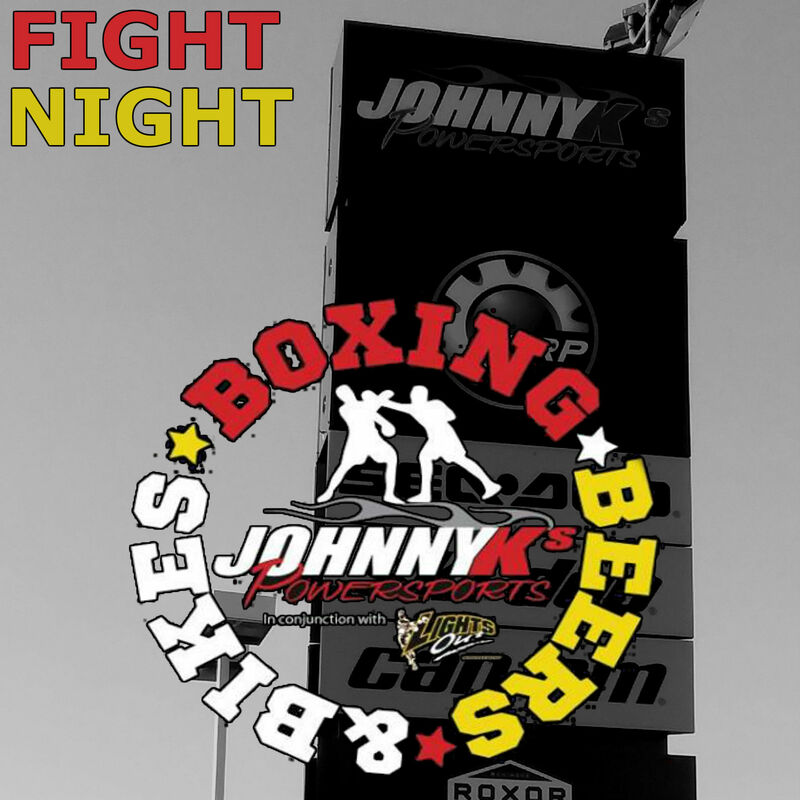 Not only will the event being billed as Boxing, Beer, and Bikes have just as it's being advertised at with but the city of Niles will present a proclamation declaring July 28 as Rusty Rosenberger Day. A multiple Youngstown Golden Glove champion as an amateur, Rosenberger reached the pinnacle of his professional career in 1979 when he claimed the New Jersey State Middleweight title. Rosenberger, who finished his pro career with a 20-8 record, was inducted into the New Jersey State Boxing Hall of Fame in November of 2010. Featured on the show will be a handful of fighters from Youngstown as Southside Boxing Club will lead with way with four competitors as Juan Jauregui (70 lbs), Joey Nail (90 lbs), Jackson Behun (132 lbs), and Jabril Scott (140 lbs) are slated to be in action for the gym located on Market Street. Courtney Price (135 lbs) and Nate Cordova (150 lbs) are scheduled with fights for Burnside Boxing in Struthers while Brian Sims (160) will be in action for Downtown Boxing Club. Proceeds from the event will benefit the Animal Welfare League. The doors for the will open at 6:00 PM with the first bell slated for 7:00 PM. Tickets, which start at $15 can be purchased at the gate.